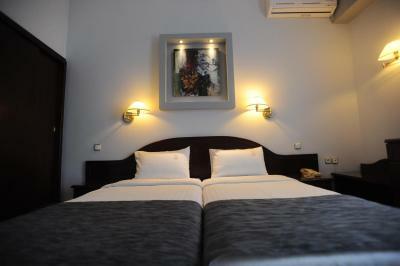 Lock in a great price for Lingos Hotel – rated 8.6 by recent guests! The staff was friendly and accommodating, and the breakfast buffet was excellent. 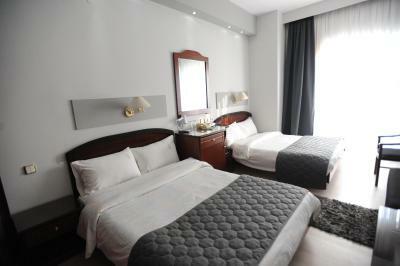 Excellent hotel, central location but quiet, very comfortable room, great breakfast buffet, very helpful staff. Parking is a few blocks away but easy. Location was great. Everything was within walking distance. Friendly & helpful staff. Overall a pleasant stay. Great location. Everything within walking distance. Excellent value for money. In the center of Florina with parking place nearby. Great location and roof top bar. Comfortable, however a little bit dated. Lingos Hotel This rating is a reflection of how the property compares to the industry standard when it comes to price, facilities and services available. It's based on a self-evaluation by the property. Use this rating to help choose your stay! One of our best sellers in Florina! 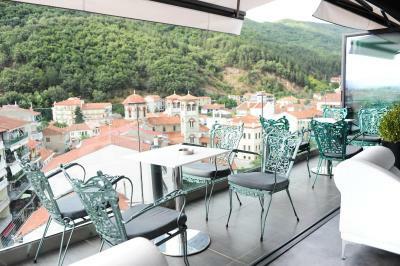 Lingos is a centrally located hotel in Florina: a city in the north-western part of Greece. 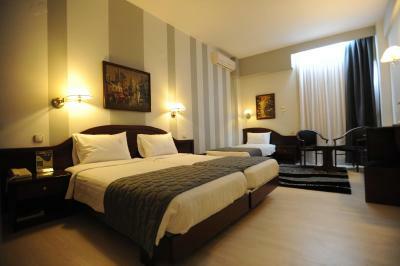 Lingos hotel provides a variety of rooms and suites that are decorated in the traditional classic styles. All rooms are fully equipped and include central heating, a private bathroom, a balcony, pay-TV, and Wi-Fi Internet connection. The hotel can also provide congress services in the modern congress rooms. 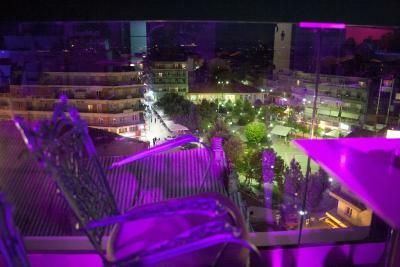 You can enjoy delicious Greek cuisine in the hotel's restaurant or relax at the bar with refreshing drinks. Guests can enjoy a wide variety of activities such as kayak rides in nearby lakes, horse riding, mountain bike riding, climbing/rappelling or simply mountain climbing with professional guides. Nearby attractions include the Museum of Modern Art, the Archaeological Museum, the Folklore Museum of the Aristotle Association, and the Folklore Museum of the Culture Club. When would you like to stay at Lingos Hotel? 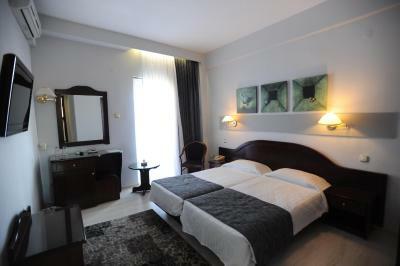 This room includes central heating, a private bathroom, a balcony, pay-TV, and free Wi-Fi. Features an extra large bed and separate seating area with a desk. House Rules Lingos Hotel takes special requests – add in the next step! Lingos Hotel accepts these cards and reserves the right to temporarily hold an amount prior to arrival. We needed to address an issue with hot water but was resolved in 45 minutes, which makes it ok but not excellent. Family room was too small, no place for your clothes, no room for personal belongings, room fits two double beds but no extra room for luggage’s etc Bathroom tiny and smelly. 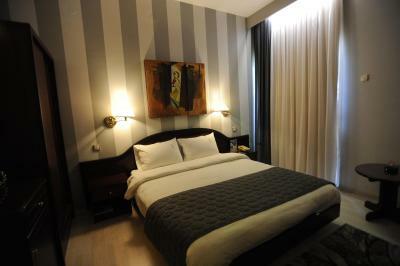 Location was great, close to cafes, shops and restaurants. Staff were courteous, helpful and friendly. Great value for money Perfect central location.